We have our own kitchen and provide freshly prepared school meals every day offering children a range of options from hot meals to sandwich options. In addition, baked potatoes and baguettes with a choice of fillings are available everyday. Throughout the year we also have special days which may be linked to topic work or celebrations taking place in school. We are delighted to be working alongside K & M Butchers in Broad Street who provide our meat. K & M have served the town for many years and have rightly built an outstanding reputation for themselves based on the quality of their meat and service. 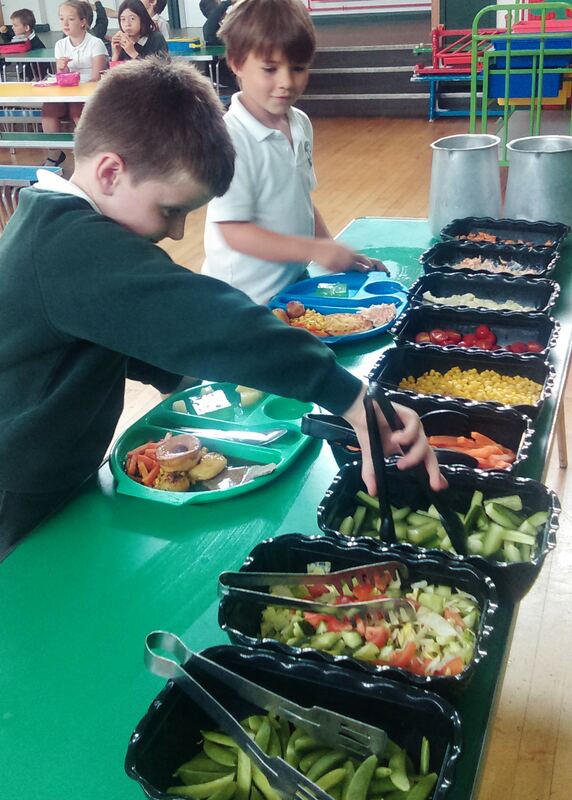 It is important to us as a school to use quality local produce for our children. Click here for a copy of the School Food Standards which contains information about the range of food that schools should provide. Click here for a copy of the School Food Portion Tables which outline the recommended portion sizes for schools. Children may stay in school for lunch or may go home if their parents come to collect them and drop them back with prior notice through the school office. Those children remaining in school may have packed lunch or school dinners at a cost of £2.30 per day or £11.50 per week. With the introduction of the new online payments system, dinner tickets will cease to be used from the 2nd June 2014. This will mean that the daily meal choices will need to be made known to us by some other means. If your child cannot make the daily choice themselves, you will need to send in details of choices, either by writing it in your child’s Home School book or by sending in a note. Alternatively you could email daily choices to Laura Dyer at ldyer@ottery-primary.devon.sch.uk If you do not wish to use the online payment method, you could give your child’s meal choices directly to Laura when making payment in person. 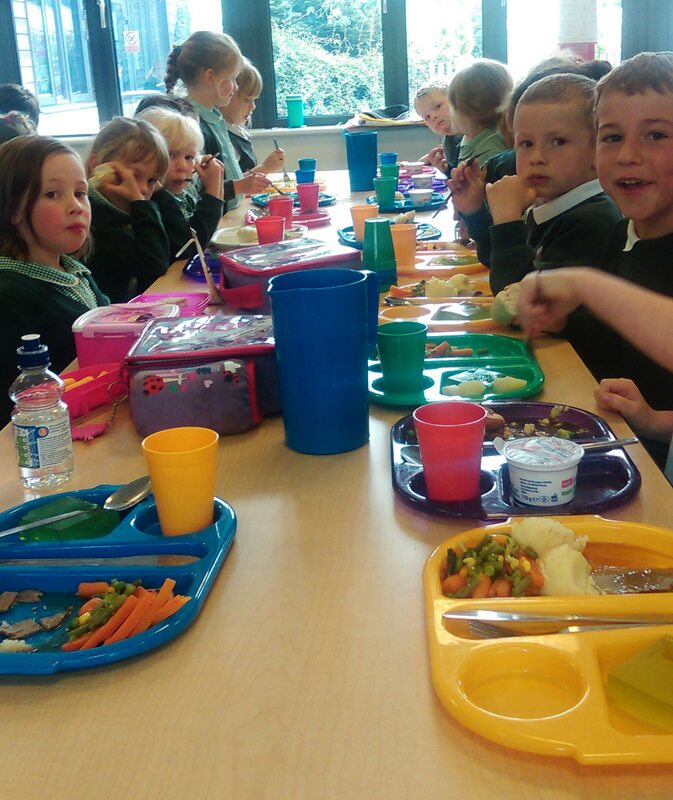 All children in the Foundation Stage, Year 1 and Year 2 are entitled to free school dinners under the Governments Universal Free School Meals programme. From September families of children in Years 3, 4, 5 and 6 in receipt of certain benefits may also be entitled to free school meals in exactly the same way that they currently are. Eating in school should be a pleasurable experience: time spent sharing good food with peers and teachers.